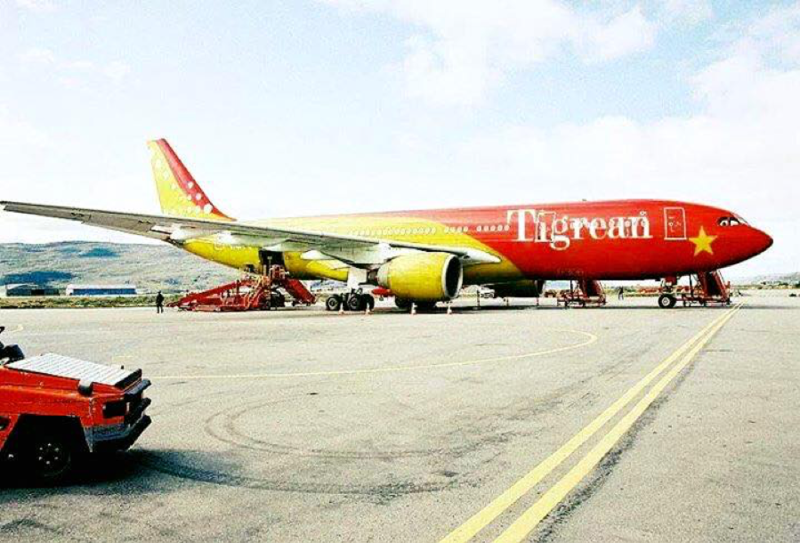 A call to oragnise an airline for Tigray - TIGREAN AIRLINES!! Tigreans and friends of Tigray need help organise an international carrier for Tigray - Tigrean Airlines. TPLF should work on a project like this to facilitate air transport in Tigray and Ethiopia. Ethiopian Airlines has no agenda for Ethiopian regional cities. Tigray has many potentials if it has it'sown carrier that can fly to major cities in the world. TPLF should pay more attention to change the economic reality on the ground in Tigray. It i.s difficult to convince Amharas or Oromos to focus on developing the economy in Ethiopia. As recent events show, there will be more fighting and displacements. Tigray Airlines could be founded as a private airline. EFFORT or other companies like Mesfine Engineering could be partners. Investors from China, UK, Italy, Russia etc might be interested to support such projects. Re: A call to oragnise an airline for Tigray - TIGREAN AIRLINES!! There is a dire need to accomodate the people of Tigray in decent homes. TPLF has not made this issue as their priority. TPLF boss Debretsion said that Tigray cannot build homes for every one. This is far from true. Tigray should build a home for evey tigrean age 18 and above. It might take some time, but we should be able to provide a home for every one in Tigray. This should be one of the priorities of TPLF dominated government in Tigray. Decent home construction should be part of the infrastructure building in Tigray. By building modern flats and houses we make investing in Tigray more attractive. There should be affordable homes for the majority of the population in Tigray. To provide affordable homes, we need to allocate land at cheap lease rates.The aim should to enable to meet the accomodation need of the population, not to make profits. As it looks now, land is more expensive in Mekele City than in Addis Ababa . This should not be allowed. Land should be given only to the people of Tigray. Foreigners should not be allowed to buy any land unless they are investing for factories. Foreigners can buy or rent homes if they want to work and live in Tigray. Real Stae should be in the hands of locals, no foreigners as they would anipulate the market to make profits creating artifical demands by making the supply less. The land should not monopolised by family groups. It should a property of the Tigrean population to be manged by the government for fair and purposeful distribution. Homes could be build by co-operatives, which get their profits by long term leases. Some leases could cost money as little as 10 Birr a month for the next 200 years, but would change if necessary ( Like home building in Europe- Sweden and UK, Germany). The government or private companies could open more cement factories to provide home builders at nominal price to facilitate house construction. No cement factory should work to make profits. The government could build these factories for the purpose of building houses to meet the need of the population. Yemtmelaw yelat, yemtikenanebew amarat....yiblo amharu. To Shabo ISIS sympathisers from Eritrea! Tigray will develop it's economy and will soon control Eritrea because Eritrea is the source all evil. As to Tigrayans, they will reduce the poverty they are in. With TPLF or without TPLF, Tigray will have a strong econoy as it has a huuge potential. Famine ridden A$$, your land is cursed and will never feed 2 meals a day let alone invade another country. Until recently, you were surviving by sucking the blood of Ethiopia, but now...that ain’t going to happen and see if your dry land grows a single plant.